Tunisian crochet (or Afghan crochet) is like normal crochet but uses a hook with an extended length. It produces a firm fabric, ideal for blankets and accessories. 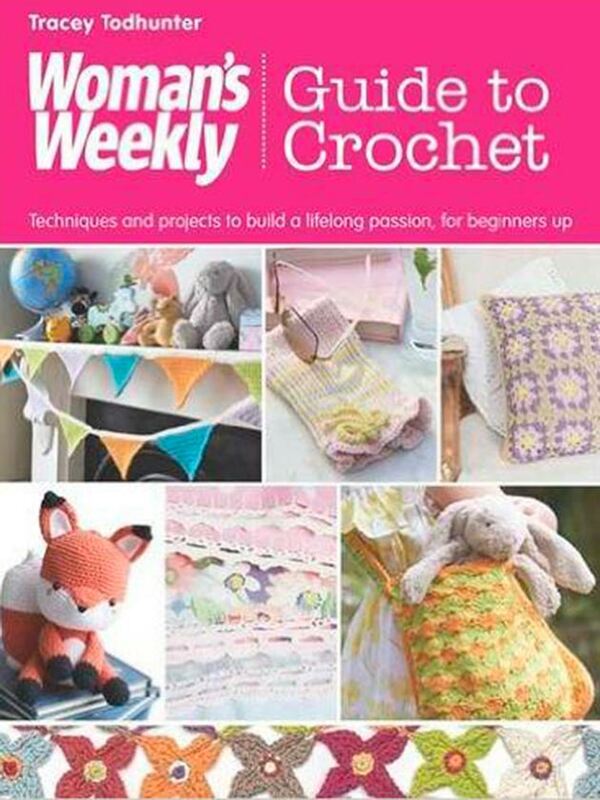 In our video, crochet expert Tracey Todhunter shows us how it’s done. For this technique, you will need a Tunisian hook; there are two common types. 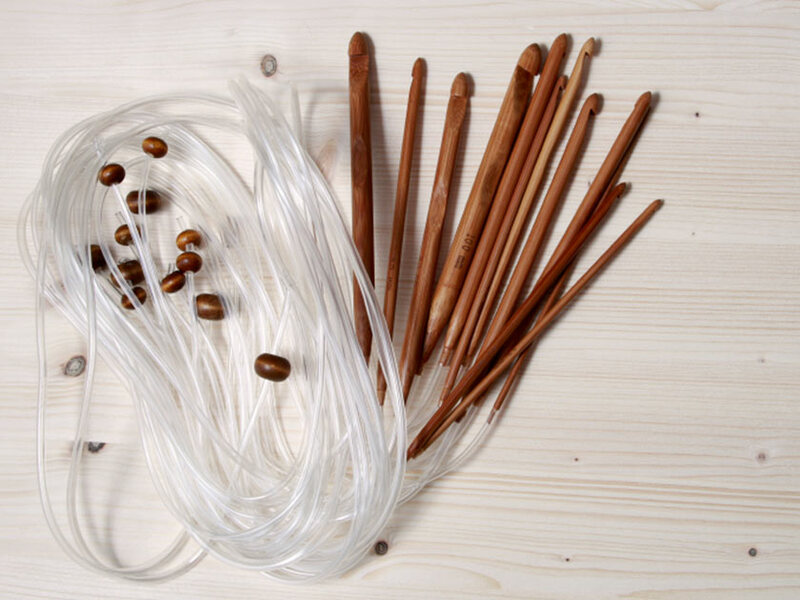 The first is similar to a regular crochet hook, but with a much longer shaft and a fixed stopper at the end to prevent stitches from sliding off (like the end of a knitting needle). 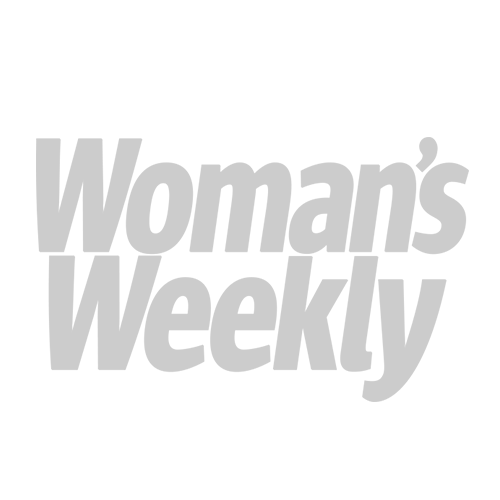 The second type has a flexible cord attached to a standard hook. 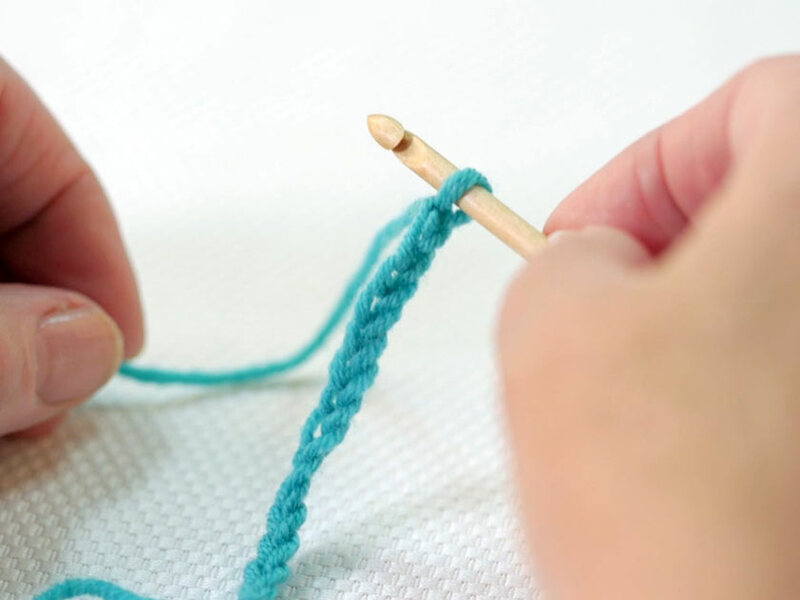 Tunisian crochet is quite dense, so in order to achieve the required drape for a garment, you may need to use a larger hook than usually specified for the weight of yarn. 1. Begin by making a standard crochet chain in the required length ready to work along this chain in forward and return passes. There are a few different ways to hold your hook and yarn. Note that a forward pass is worked from right to left, and the return pass from left to right without turning the work. 2. Begin the first forward pass by inserting the hook into the second chain from the hook. 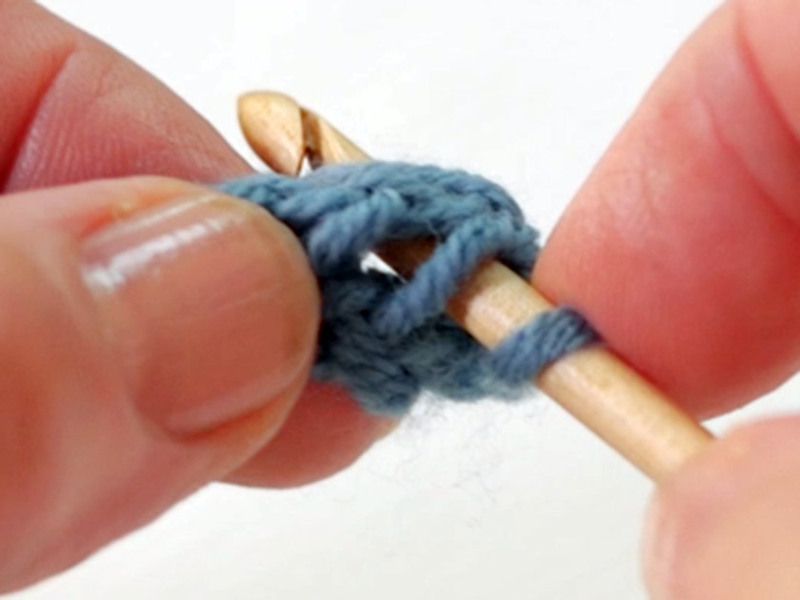 Wrap the yarn over and pull a loop through, giving you two loops on the hook. Repeat into every subsequent stitch along the chain. 3. Work the return pass. 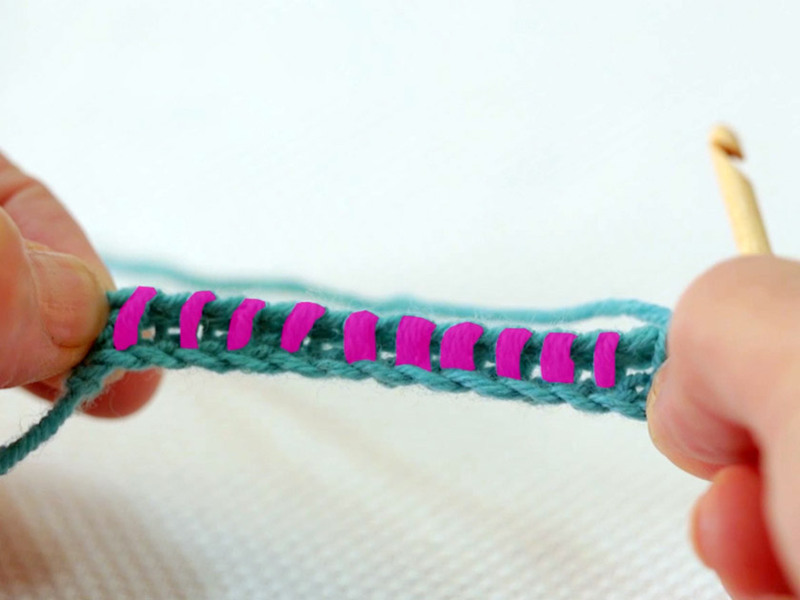 Begin by wrapping the yarn over the hook and drawing it through the first loop on the hook to make one chain; this completes the first stitch. 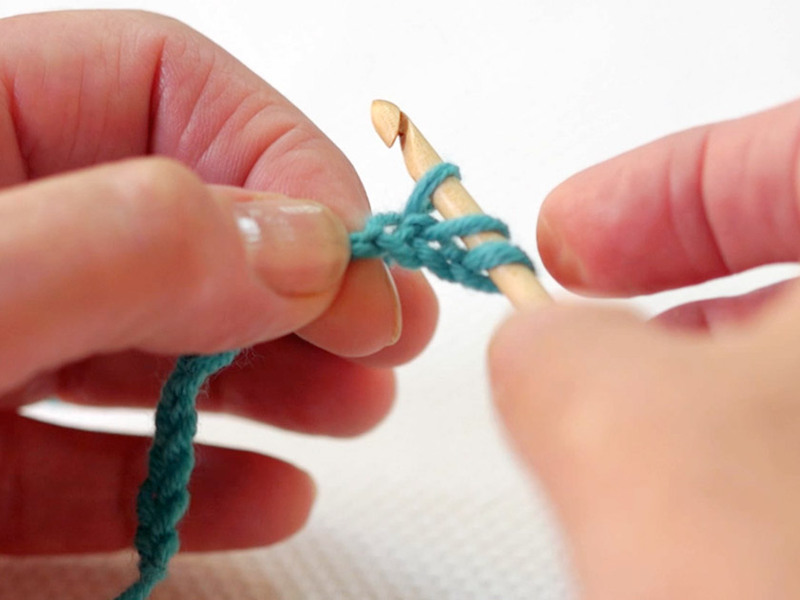 Wrap the yarn over again and draw it through the first two loops on the hook; this completes the second stitch. Note the pattern of vertical bars at the front of the work. This variation of Tunisian crochet produces a fabric that closely resembles knitted stocking stitch on both sides. Just like stocking stitch, the edges will curl with this stitch, but a bit of blocking and pressing will help remedy this. 1. Start by making a standard forward and return pass across your desired length of chain as for Tunisian simple stitch (see above, stages 1-3). Looking closely, you will see that each stitch has a vertical loop, composed of a front and back vertical bar. 2. 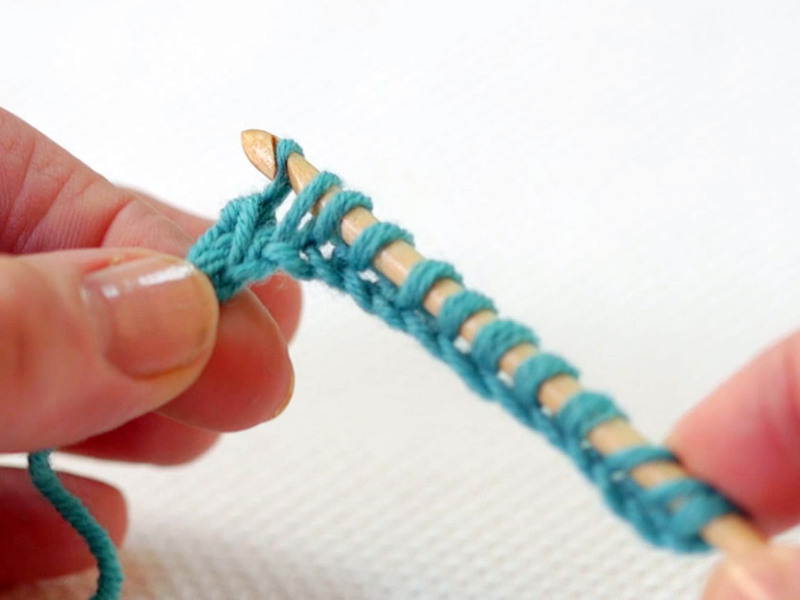 Insert your hook in between the first front and back bars, pushing your crochet hook through to the back of the work. Yarn round hook and pull through to the front and repeat into every set of bars along this row. Be sure not to miss any. 2. Continue to work along the row, inserting the hook between the vertical bars and under the horizontal loops of each stitch. When you reach the end of the row, insert the hook into the last stitch as shown – that is, insert the hook through the fabric behind both the front and back vertical bars (instead of between them). 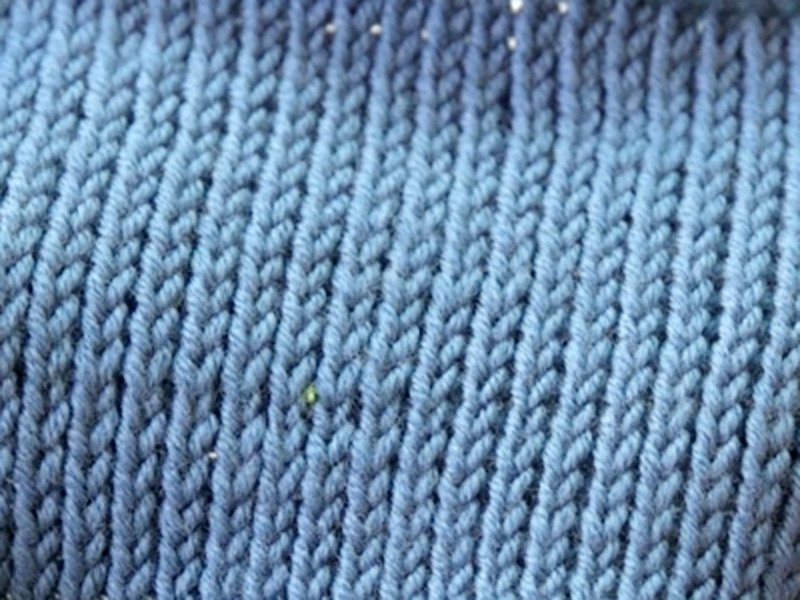 Make sure to count your stitches at the end of the row as the last stitch can be easily missed. 1. Never turn the work at the end of a row. Always make sure to work a return pass to complete each row. 2. The first loop on the hook counts as the first stitch of the row. 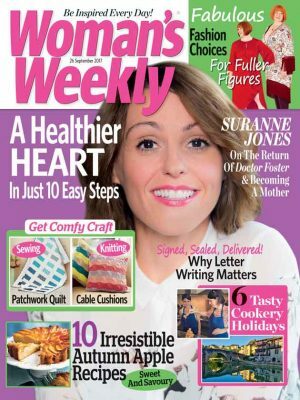 Don’t miss the brand new Woman’s Weekly Guide to Crochet published by Search Press which is due in shops in January 2016. Packed with handy hints, comprehensive tutorials and projects to make – this useful guide is the perfect resource for absolute beginners and improvers.